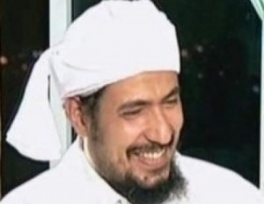 Yemen's Mohamed al-Zindani calls for jihad against Americans. Mohamed Abdel-Mageed al-Zindany, the son of Yemen’s Sheikh Abdel-Mageed al-Zindani, a prominent cleric and powerful tribal leader, called on his fellow Yemenis to raise the flag of Islam and wage war on the American infidels, starting with US ambassador to Yemen, Gerard Feierstein. In a fiery verbal attack against the ambassador, al-Zindani slammed American’s interference in Yemen, accusing the Pentagon of “meddling” with the country’s internal affairs to better pursue its own agenda in the region. Al-Zindani seems to be now stepping in his father’s footsteps as he rises against what he calls American imperialism. Sheikh Zindani, who famously figures on America’s most wanted terror list, was indicted last year by President Ali Abdullah Saleh and an arrest warrant was issued against his person. The government has thus far failed to enact the order, with officials from al-Islah, the country’s Islamic political faction warning that they would oppose any move against one of its leaders. Heading the Islahis, Sheikh Zindani is a force to be reckoned with, and an estimated thousands hardened fighters under his direct command. Is the Secret War in Yemen and Somalia Secret No Longer?